What are parents to do when their two sons don’t get along? While sibling rivalry usually dissipates with the advent of adulthood, this is not the case when it comes to Angus and Hugh MacNaughton. 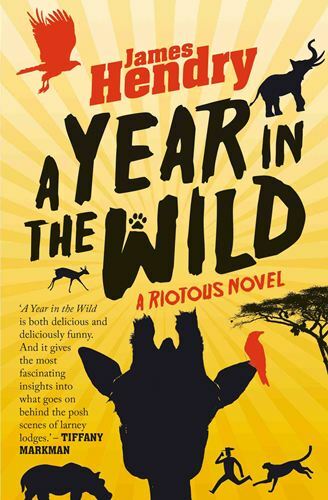 Their desperate parents decide to send them off to work on a luxury private game lodge near Hoedspruit for a year. This is a last-ditched attempt to help them develop a brotherly bond and find their way in life. Angus is the eldest and has little time for social graces. His new colleagues find his cynical attitude and sarcastic tongue hard to stomach, but he does develop new and unlikely friendships with the Shangaan tracker Elvis and the mysterious camp manager Anna. His younger brother Hugh is much more outgoing and makes all the right friends as he puts his hospitality training to good use as assistant camp manager. Have you ever wondered what happens behind the scenes of a luxury game lodge? The two brothers spill the beans in the form of weekly emails to their sister Julia, who is caught in the middle - she acts as a mentor to one and a confidante to the other. You, too, will enjoy the bush adventures of the two brothers as they interact with an interesting mix of demanding guests from around the world, wild animals and their strange but interesting colleagues. This is a light; fun holiday read first published in 2011 and re-released this year in a paperback edition. The story will have you crying with laughter and turning the pages to find out what happens next.